From bachelor parties to birthday bashes, and huge conferences at the convention center to music festival crowds, Las Vegas is no stranger to hosting and entertaining large groups. And if you’re looking for the perfect family reunion destination, look no further! 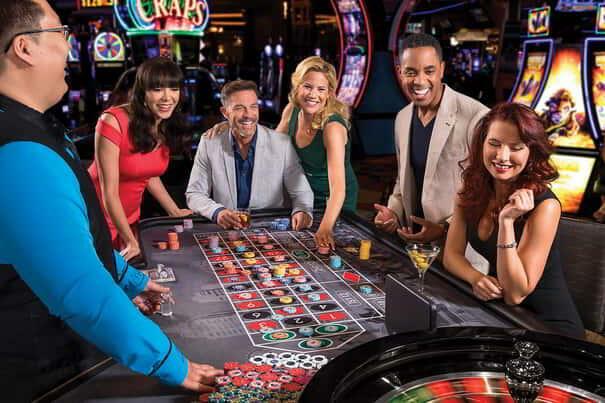 While Sin City might make some think of — ahem, more adult-centered activities — when it comes to family reunion ideas, Las Vegas offers plenty for everyone in your group. We’ve got indoor amusement parks and arcades for the kids, thrilling rollercoasters and rides for the teenagers, and acrobatic shows for the entire family. And, of course, some of the best spots for foodies of all ages. Intrigued yet? Let’s get to planning! Whether your group is large or small, planning out the details and logistics in advance — including how everyone is getting there, where you’ll stay, and ideas for meal and activities — will make the experience much more enjoyable. Family reunion planning can get stressful if you have a variety of budgets, interests, and personalities, so getting everything out in the open will help you avoid surprises and headaches. Create a shared planner spreadsheet or document to stay organized. No more searching through a never-ending email chain to find what you need! Create tabs for each part of the planning, from comparing hotel prices, to brainstorming ideas for activities. Get the big stuff out of the way. This means selecting dates that everyone can commit to, setting an initial budget, and choosing where you’ll stay (see section below!). Consider working with a concierge. 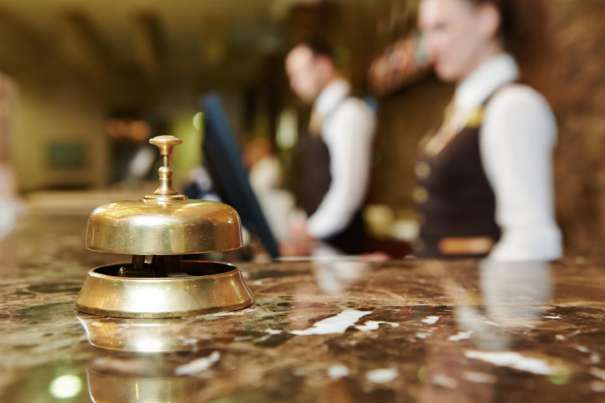 All major hotels will have a guest services department that will be happy to help you along the way — especially if you’re bringing a large group to their business! The concierge services at the MGM Grand, for example, can assist with setting up babysitting services and photography, recommending activities for cheap, booking transportation, and other special requests. Look for additional planning worksheets online. GroupTravel.org, for example, has several downloadable templates that can act as planning worksheets, sample agendas, and even a post-reunion survey. If possible, divide the group into specific committees. This can be especially helpful if your group is large — or full of opinionated members! Designate one family in charge of comparing hotel options, another family to research and book restaurant reservations, and another to distributing checklists and final schedules. That way, you have a point person (or family) for every part of the trip. As you plan out your family reunion, one of the first big decisions will be where to stay. There are so many options for hotels and resorts around Las Vegas, the task can seem overwhelming sometimes — especially when you’re taking multiple families into account. The best advice here: choose a home base that’s close to everything. 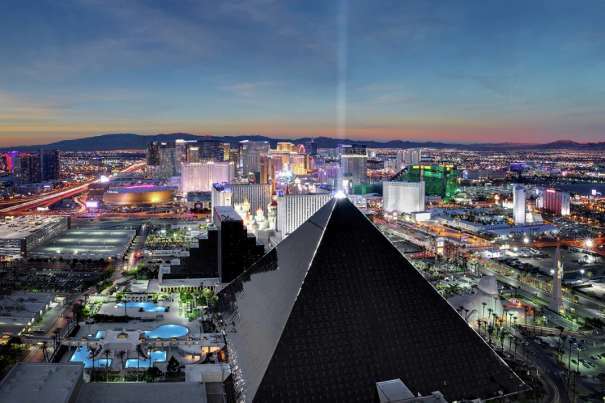 Booking a hotel right on The Strip is your best bet, so you’ll be in the middle of the action, and close to many of the family-friendly activities Las Vegas has to offer. Circus Circus, Mandalay Bay, and Excalibur are all great options for accommodating family hotels. Once you’ve chosen a hotel, you’ll want to consider your room situation: do you want to book a few suites, so your family has a spot to hang out, or even cook meals together? Or do you want to book separate rooms, all on the same floor? The best option here will depend on your family’s size and style. Younger couples and families with children, for example, might prefer to have their own rooms. If you opt for separate rooms, you may want to look into reserving hotel blocks, to ensure everyone in the group is close by. This way, the rooms are reserved in advance, and then each individual family can call in to pay for their room. Suites, on the other hand, are a great option if you’d like more space for sleeping, relaxing, and congregating together. Most family suites have additional amenities, like a full kitchen, so you can cook meals together to save money. One idea is to have one or two families stay in a suite, and book separate rooms for the rest of the group — that way, you have access to one big common area for meeting before heading out to dinner, or whatever activities you have planned. The great thing about Las Vegas is that there are so many things to do! The difficult part is finding something that caters to everyone — and let’s be honest, that can be near impossible. Instead, consider designating the afternoon as “free” time, or creating sign-up sheets for 2-3 activities per day. Then, small groups can head to the pool, the casino, or whatever is planned for that day. Once the sun sets, regroup back at your hotel before heading out to dinner together. Explore the New York New York Hotel: Take a ride on the famous Big Apple Coaster, try your hand at some games at the Big Apple Arcade, then enjoy some tasty treats from Hershey’s Chocolate World. Head to The Mirage: Get up close with bottlenose dolphins, black and spotted leopards, and other cool animals at Siegfried & Roy’s Secret Garden and Dolphin Habitat. Then come back in the evening for The Beatles LOVE by Cirque du Soleil, the award-winning acrobatics show hosted at the LOVE Theatre. Relax at Mandalay Bay: Adults and kids alike will enjoy relaxing at the Mandalay Beach, with its three large pools, 1.6-million gallon wave pool, and real white sand that’s perfect for sand castle building. It’s like heading to the beach, Las Vegas style! Experience the ultimate thrill with the Ultimate 4-D Experience where you can join your favorite characters go on 15-minute adventures in high-definition 3-D projection and experience thrilling special effects that will place you right in the middle of the action. Then get dinner & show at the Tournament of Kings at Excalibur. Kids get to use some of their favorite utensils (their hands!) while watching knights joust and sword fight before their eyes. Goof off at Circus Circus: Check out the Carnival Midway, with around 200 of the most popular and classic arcade games, or head over to the Adventuredome, an indoor amusement park with more than 20 rides and attractions for thrill-seekers of all ages. With the right planning, your family reunion will be one you’ll all remember for years to come. These family reunion ideas for Las Vegas will get you started, but there are certainly more to consider as you plan out your trip. Have fun with your planning, and we hope you enjoy your stay in Las Vegas!